The Holidays are approaching and if you are like me, you will need a glass or two… or four… of wine to get through. But is drinking alcohol safe while breastfeeding? So what to do when Uncle Tommy offers you a warm and decadent cup of Bourbon Cider? How can you pass that up?! Well, keep your Ugly Christmas Sweater on, I am here to help you navigate through the Holidays! How much is too much alcohol when breastfeeding? Look, I get it, hanging out with Aunt Myrtle and Grandma Betty (I really do have an Aunt Myrtle and Grandma Betty) can really take some effort. Sometimes people are more fun with a little drink in their hand. And sometimes surviving large family gatherings takes a drink or two. 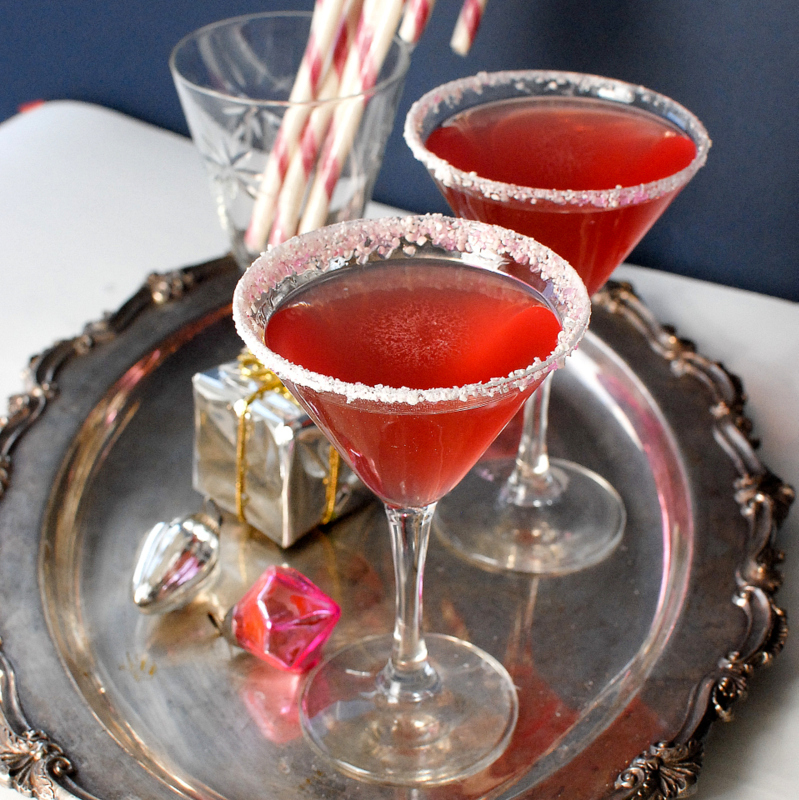 So if you are breastfeeding, can you join in on the fun and enjoy a festive cocktail? 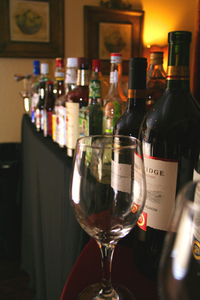 You do not have to avoid alcohol completely while nursing. Now, I am not suggesting you can throw them back like a frat boy on spring break but a cocktail or two here and there is fine. Ingestion of alcoholic beverages should be minimized and limited to an occasional intake but no more than 0.5 g alcohol per kg body weight, which for a 60 kg mother is approximately 2 oz liquor, 8 oz wine, or 2 beers. Nursing should take place 2 hours or longer after the alcohol intake to minimize its concentration in the ingested milk. So, Do You Need to Pump and Dump? There is no need to “pump and dump” after consuming alcohol. That does not rid your milk of the alcohol. Alcohol leaves your milk the same way it leaves your blood. It doesn’t accumulate and stay there. Alcohol will peak in your blood and milk around half an hour to an hour after consumption. There are of course many factors to consider like how much food you have eaten (which if you are like me at the holidays, that would be a lot…). A fun fact – Your body absorbs less than 2% of the alcohol consumed into your blood and milk. You also need to consider how old your baby is. A newborn’s body, for example, will react much differently to a higher level of alcohol in your milk than a 12-month-old. A general rule to follow is, as the AAP outlined, to wait 2 hours after consuming alcohol to pump or breastfeed. A good measure is that if you are fit to drive a car then you are fit to breastfeed. 1 – Before drinking, nurse or pump first: Remember you need to wait at least 2 hours after having a drink to pump or breastfeed again. 2 – Come prepared: Bring your pump, extra bottles, nursing cover, etc so you are prepared for any situation. If you typically nurse when your baby is with you, come prepared to pump just in case. You don’t want to be away from home and have forgotten something essential. 3 – Make sure you nurse often and do not skip feedings: It is easy to get caught up in a good time and go longer than normal for each feeding. Your baby may also be overwhelmed with all the excitement and get very distracted when trying to eat. Taking your baby to a quiet place to nurse or bottle feed to help. Ask your host for a place you can go. 4 – When Traveling, be prepared! Follow these helpful tips for traveling and pumping. 5 – Be ready for unwanted comments and advice: Even the most well-meaning relative may want to give you advice about nursing or how you should or shouldn’t do something. I take the “smile and nod” route. No point in getting into a debate. Remember this is a happy family gathering so don’t get caught up in the silly comments. Come tomorrow, you will go back to raising your baby how you see fit. So don’t sweat the small stuff! 6 – Enjoy! The holidays can be stressful and busy but take the time to step back and enjoy. Your children are little for a very short period of time and the holidays are magical for kids. So soak it up! Take a lot of pictures and relish in some of the best years of your life. Click here to go to our Pumping Basics page to learn tips, get info and more on all things pumping! Just because I know you were dying to have some of the recipes for drinks I listed, here are a few of my favorites… You can thank me later. NOTE: Drink recipes are from delish.com. 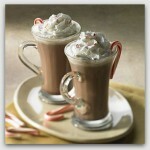 Check it out for more yummy drinks! In a saucepan over low heat, warm 1/2 cup of whole milk and 1/2 cup of cream. Garnish with whipped cream and a mini candy cane. In a spice grinder, grind into a powder – 2 sticks of cinnamon, 20 black peppercorns, 16 whole cloves, 8 cardamom pods, 1 tsp ground ginger, 1 freshly grated nutmeg. In a saucepan, bring 1 cup of whole milk to a boil. Remove from heat and add spice mixture, 1/4 cup of brown sugar, 1 tbsp of loose black tea and let stand for 10 minutes. Strain the chai into a bowl and wipe out the saucepan. Return the chai to the saucepan and rewarm over low heat. Stir in 3 oz of Whisky and serve! 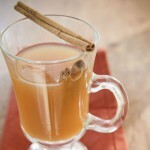 In a large pot, warm 1-gallon fresh apple cider, 5 tsp of cinnamon, 2 1/2 tsp of nutmeg, 2 1/2 tsp of ground ginger. Once the mixture is brought to a Simmer (do not boil), remove from heat. 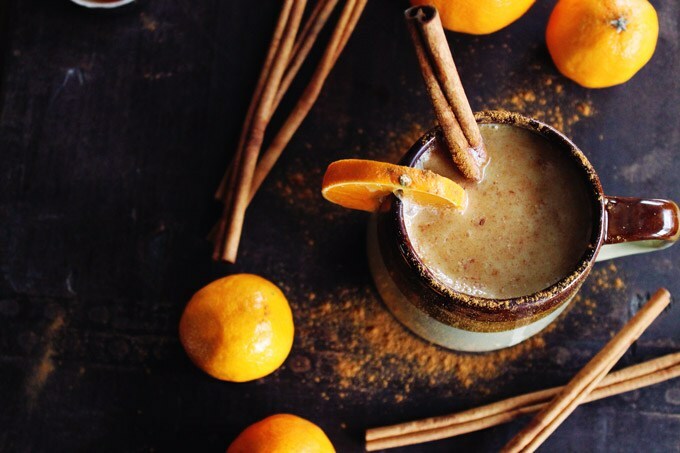 Pour into mugs and garnish with a cinnamon stick! Leave us your recipe here. Have any tips for getting through the holidays while nursing? Let’s discuss! Drop me a comment! 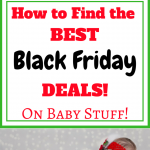 How to Find the Best Black Friday Deal on Baby Stuff! 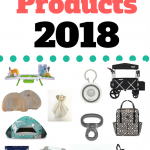 10 Best New Breastfeeding Products! I love it. Sounds like you’ve had some personal experience with this. I agree that a new mother does need to be able enjoy herself somehow. Sometimes a lot is happening where the cocktails are, who wants to miss out on that. Great way to encourage new mothers it’s okay to have fun. Just because you become a mom doesn’t mean you can’t enjoy a cocktail or glass of wine. Moms deserve to have a relaxing drink at times too (and sometimes we need it haha). Thank you for stopping by and I’m glad you enjoyed the article! Yes, I agree, it is important for breastfeeding mother’s to know their boundaries. Having a social cocktail here or there is perfectly fine. I’m not a huge drinker either but I do love me some Holiday Cheer! I’m a sucker for cold weather and a warm drink. Thank you for your comment! Excellent article – very informative! The drink recipes sound gorgeous. I would lo e to try the warm cider bourbon one. Sounds very warming. As for the hot chocolate. I know what I’ll be doing for dessert on Christmas day now – mince pie with Kahlua Hot Chocolate! Thanks very much for the recipe ideas and well done on a very helpful article. Baby’s nutrition is important all year round. Especially in the cold winter months! I am glad you enjoyed the article! The warm Bourbon Cider is amazing so I do recommend it! Really you can’t go wrong haha. 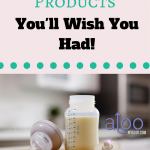 Keeping up with a baby any time of year can be a challenge but add the stressful holidays and it can be down right crazy! So a nice nightcap never hurt any one. Thanks for stopping by! Great article! I still remember with my first one I would have a glass of red and then pump and dump lol… I got wiser with my second one. 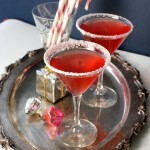 Love that Candy Cane Martini recipe… will have to try that one. I`m done breastfeeding (have been for a while 🙂 so I might have two :). I did the pump and dump too! What terrible advice we received haha. We always live and learn with the second. My mom used to joke that the first baby was the test run haha. And heck, why not have 3! You won’t be sorry! Very yummy! I personally like using red colored sugar on the rim to off set some of the peppermint but I’ve tried the crushed peppermint too and it’s good. Enjoy! Great Article I must say and very well written I must add! I love your rhyme at the beginning of your article. Your relatives seem as though they would be fun to hang out with. And those drinks! I am getting really thirsty thanks to you! 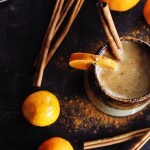 I think I would like that Whisky Chai Tea or that Candy Cane Martini or even the Kahlua Hot Chocolate and maybe even that last one the Warm Bourbon Cider! I could have fun with anyone, after all, those wonderful drinks! Do I sound like an alcoholic? LOL I’m sure glad I’m not pregnant. I a bit old for that now so maybe I could have one or two of those delicious looking drinks you have so well presented with those pics that you have me drooling over them! Haha, Julie, you most certainly do not sound like an alcoholic. Just someone with good taste! I am not a huge beer drinker (I know) but man, I love me a good cocktail! And my family is fun most of the time but wine or cocktails make them even more fun. I hope you get the chance to whip one up someday! You won’t be sorry! Thank you for stopping by! Great article on breastfeeding mothers and how they can survive the holidays. I like not only that you pointed out as long as a mother waits two hours after having a drink before nursing, the alcohol content will not affect the baby. As a former breastfeeding mother, I really enjoyed the article. What I did was nurse my baby and she would fall sound asleep and than I would have my small glass of wine and by the time my little one woke up and wanted to feed, it had been about two hours. And yeah, there will always be those well-meaning relatives that think you “need” to hear their advice. My mother-in-law at the time was awful about that. You have great advice about just smiling and nodding. Thank you also for the awesome drink recipes. They look yummy and I think I just might try a couple of those. I always fed my baby first too. It was a perfect routine at parties or gatherings. I can’t tell you how many well meaning comments I have received from family over the years. It can really get to you if you let it and honestly in the beginning it did. But I matured as a mother and became less defensive when someone likes to tell me what my baby likes or what I should do with my baby (cause they know my baby better than me haha). Smiling and nodding works every time. I hope you enjoy some of the recipes! They are so yummy and festive! I might be breaking a few out this year. Take care and happy holidays! This is such a great read! I breastfed both my kids and have always enjoyed the occasional wine or beer. I think it’s okay and surely everything in moderation is to be expected especially while creating a new life! Your site is very informative and will help new mothers looking for answers to these very misunderstood topic. Yes, everything in moderation! And to be honest, I think most mothers wouldn’t bat an eye if they were told no alcohol until you are done breastfeeding. 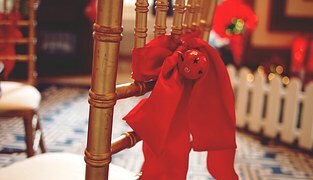 It’s really not a big deal to most but it is fun to indulge especially during a special holiday or get together. Thank you for your comment and for stopping by! Nice! Very well written and informative. One thing that really drew me in was your title. Although I am not a breast feeding mother, or even a female for that matter, this page was very nice to read because of he information I can pass on to my one day future wife. Thank you! Thank you very much Bradley! Thank you for stopping by and I do hope to see you back again in the future!